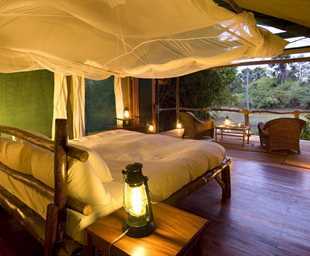 Liwonde National Park is one of Malawi's best for wildlife. 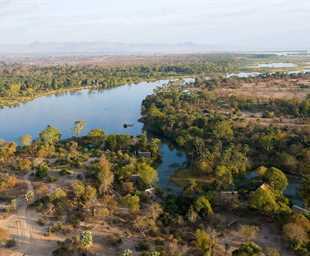 It is located on the Shire River - a tributary of the Zambezi - and as a result is long and thin. 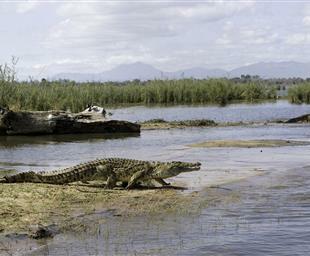 Wildlife includes quite large numbers of elephant and the river attracts countless hippos and crocodiles. Antelope include kudu, sable and bushbuck. Lion and leopards are occasionally seen and, recently, black rhino have been re-introduced. Birdlife is exceptionally varied. The river attracts fish eagles and weaver birds build their nests in the thin woodland. Pel's fishing owl is often seen at dusk along the river's edge.